Everyone loves fried foods but for those who are health-conscious, this may not be a good idea. 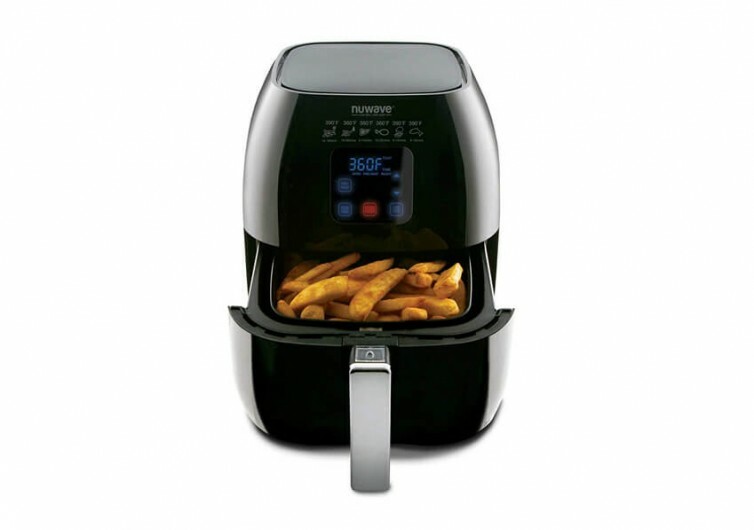 Air frying is a good alternative to conventional deep frying, especially if you’re going to use the Versatile Brio Air Fryer from NuWave. 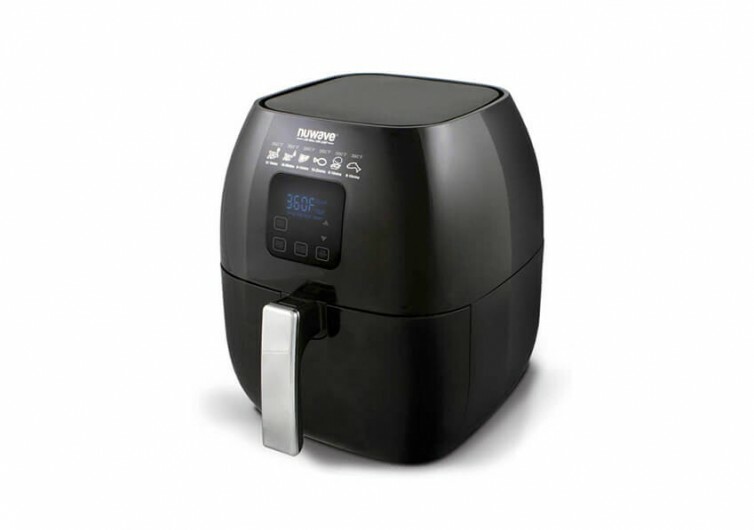 This kitchen appliance is fully capable of making scrumptious fried foods without the guilt of having to consume oily delicacies. 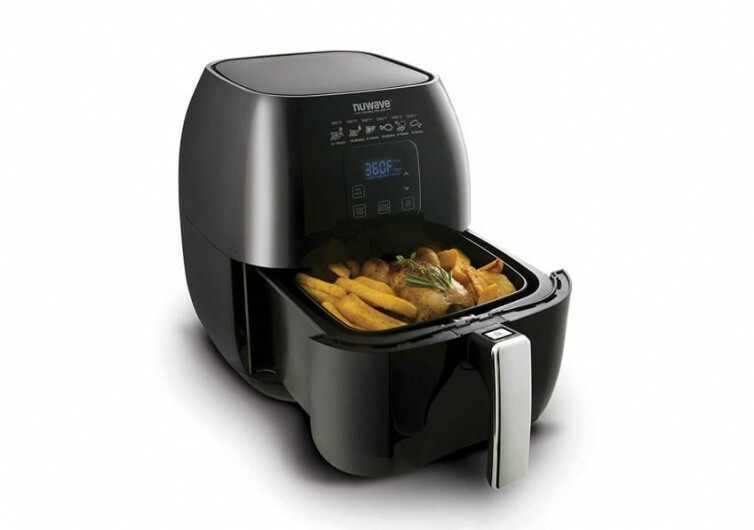 The Brio comes with a 3-quart capacity frying compartment complete with non-stick coating. Conventional air frying techniques still require the addition of small amounts of oil. The Brio, thankfully, doesn’t require fat or lard because of its non-stick coating. The compartment can also be easily removed so you can serve your air fried foods straight from the cooking basket. 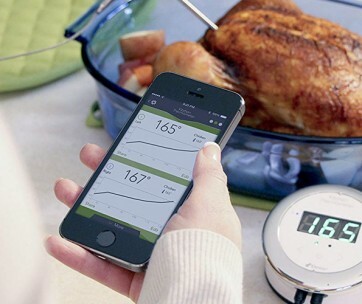 Featuring advanced digital technology, the Brio removes the guesswork of dialing in the correct temperature settings upon which your food will be air fried. 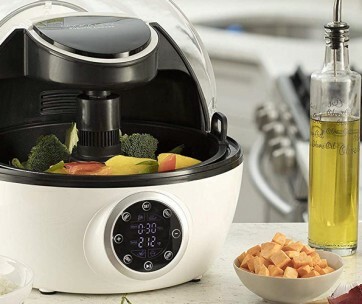 This kitchen gadget has a digital timer that is mated to an automatic shut-off system so you’ll get the perfectly fried foods any time. All of the Brio’s digital features can be accessed with a mere touch of the buttons on its large LCD screen. NuWave doesn’t call it Versatile if it isn’t. The Brio can get you the best fried chicken in town, crunchy onion rings, decadent mozzarella sticks, and anything and everything in between. One can also bake on the Brio as well as broil and toast. 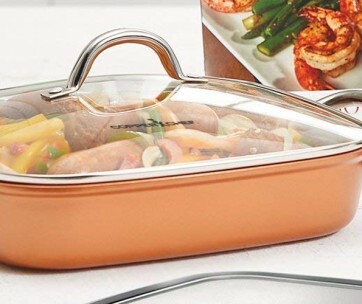 It is so versatile that it can replace a number of cookware in your kitchen. The greatest advantage, of course, is the use of no oil in each of these dishes. That’s healthy cooking. 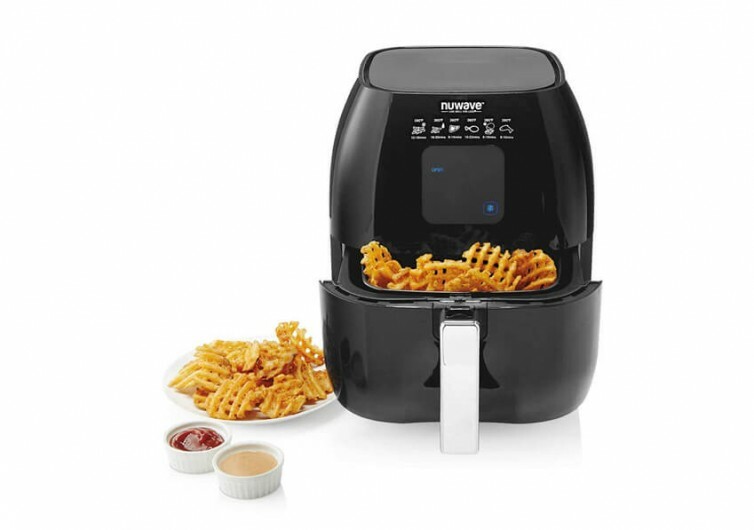 The Brio Air Fryer revolutionizes the way you enjoy fried foods by eliminating the use of oil just to deliver that signature flavor of oil-fried foods. It’s a healthier way to enjoy one of man’s favorite pastimes – eating everything fried.